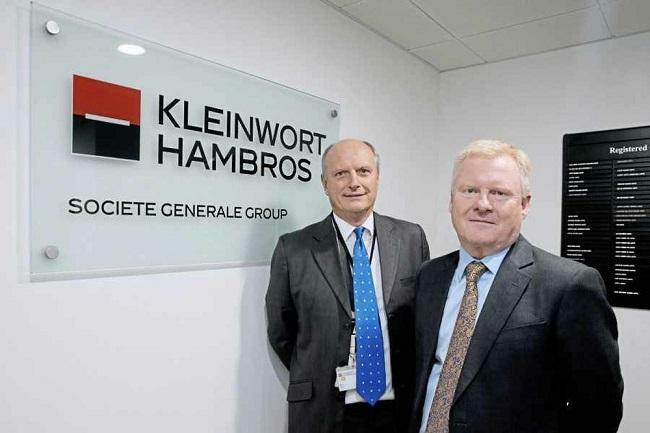 Kleinwort Hambros, a Société Générale-owned private bank and wealth manager, has launched a new Luxembourg-listed, actively managed blockchain note. In its press release dated April 08, Kleinwort Hambros said that the exchange-traded note (ETN) will be available exclusively to existing and prospective clients for a minimum investment of £1,000 GBP. The objective, it said, is to give investors the opportunity to gain market access to the companies which could profit most from the development and adoption of blockchain technology. The initial basket of stocks will comprise of 20 companies, which stand to benefit from the potential growth of blockchain – either through the sale of software services, or through the improvement in margins that the installation of blockchain technology may produce. These carefully selected companies will span multiple industries and countries, and will be drawn from sectors including technology, shipping, oil and gas, custody banking and industrials. The blockchain ETN will be actively managed by the Kleinwort Hambros investment team. “We have seen increasing interest from clients in the area of blockchain and we are very excited to be able to cater to this demand with the launch of our first blockchain note,” John Birdwood, Portfolio Manager at Kleinwort Hambros, said.